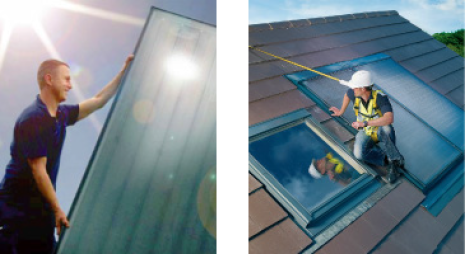 Renewable Energy Choice from Neil Robertson Plumbing Ltd.
Worcester Greenskies solar panels A typical well sized solar system should provide around 50-70% of the domestic hot water requirements of a home, representing a very worthwhile saving on hot water heating costs. The remaining hot water requirement is provided by the boiler. GSHP's use the latent heat absorbed by the ground that is radiated by the sun daily no matter what the weather is doing above ground. 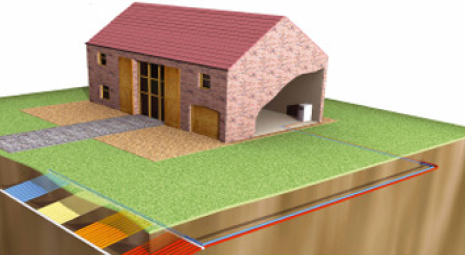 Underground temperature remains constant, at around 12 degrees, and provides a reliable continual source of warm water which, harnessed with a glycol based GSHP system, gives a constant feed of hot water and heating into a property. 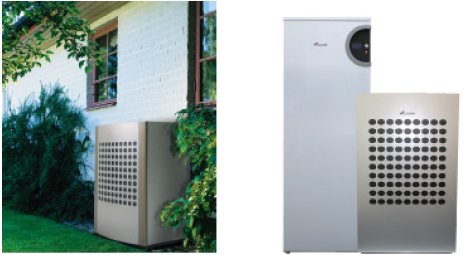 GSHP's are very efficient ways of heating your home and are in excess of 300% efficient. There are also more grants, feed-in tariffs and cash backs available for GSHP's from various sources as it is a well established form of heating your home and a great long term investment. 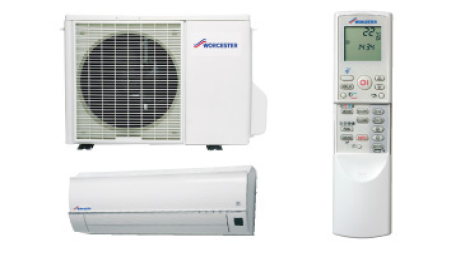 Cost effective, low maintenance and aesthetically pleasing, Air to Air heat pumps can heat or cool up to 120 square metres allowing for many applications; open plan areas for business, classrooms, places of worship, loft and basement conversions or house extensions - in fact any open areas which require heating or cooling. The units also act as air purifiers and particulate filters using "Cluster Ion Technology", they don't dry out the air- as air conditioning units do - so are excellent for allergy sufferers and contact lens wearers alike. An Air to Water unit provides a plentiful supply of hot water thanks to a built-in hot water cylinder which makes it an ideal replacement for an old and inefficient boiler. They use a small amount of electricity and are in excess of 300% efficient which means for every kilowatt of electricity that is used the unit will generate at least three units of heating. These units are designed to replace traditional gas and oil boilers based on the principle that electricity will remain more stable and therefore cheaper in the long-term. For more information, please call 01823 413 999 or Contact us.